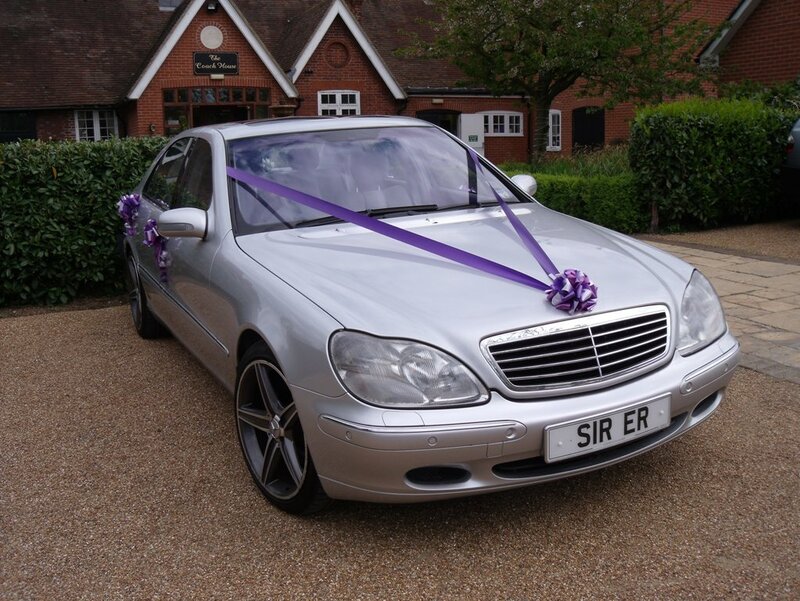 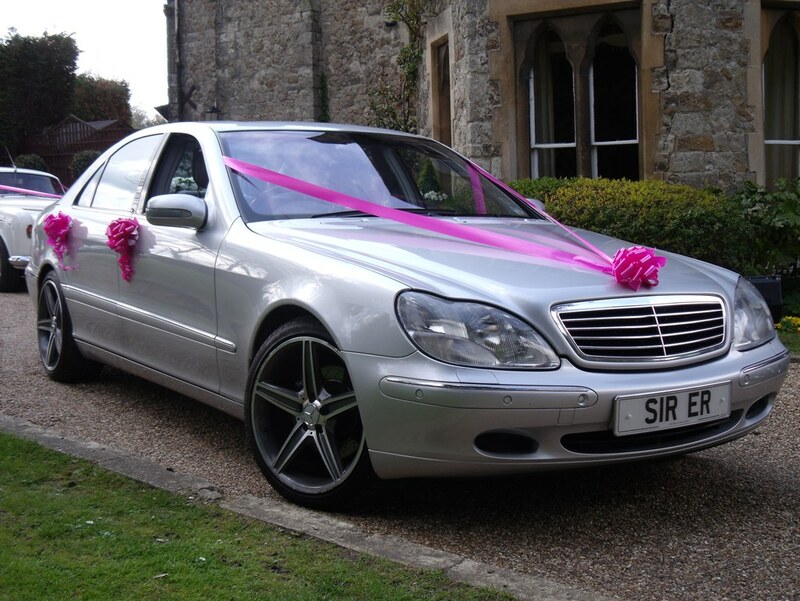 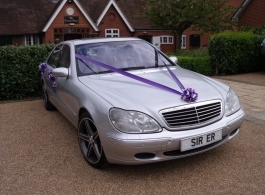 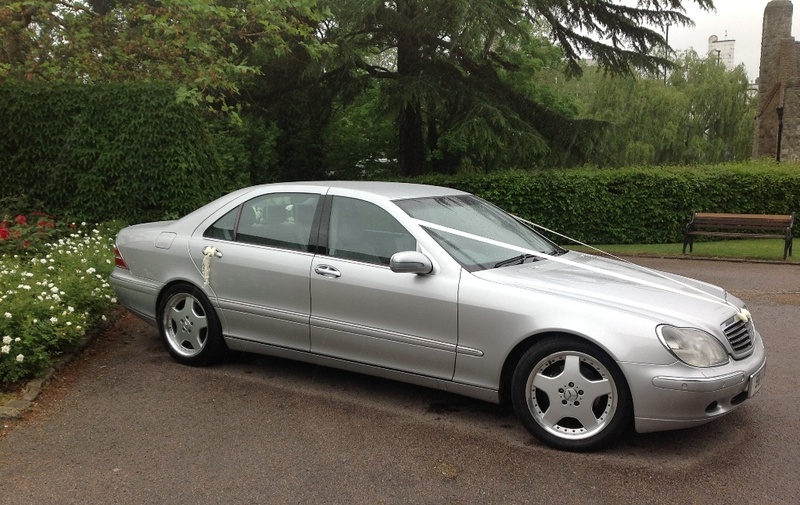 This modern & stylish top of the range Mercedes wedding car is finished in metallic silver with a soft dove grey leather spacious interior. 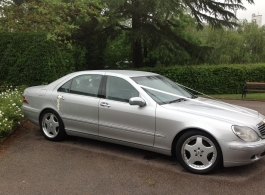 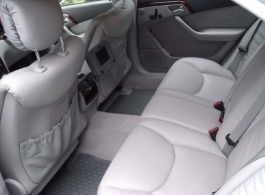 It has AMG wheels, low profile tyres, televisions front and rear, air conditioning and a multi CD player. 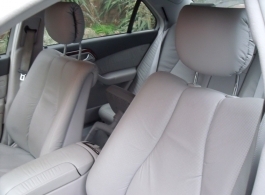 The rear electric seats are designed to get that perfect travelling position - the ultimate in modern car design. Price also includes flowers, bubbly, colour co-ordinating bow and ribbons.